We're an independently run business and proud we are able to offer a personal service to our customers. We believe this is why we have such a great review rating. Most companies would shy away from putting customer feedback on display but we trust in our staff and we know that they will also work very hard to put something right if it's wrong. Still not convinced? Check out the hundreds of reviews collected by Google and its partners with an average score of 4.7 out of 5. We always strive to offer the highest quality service to all of our customers, and we rely on your feedback to help us achieve this. We've partnered with the independent review site, TrustPilot to collect reviews from our customers. All reviews, good and bad, will be viewable immediately online. "GardenSite has built its reputation on 5 Star customer service. Reviews are encouraged and appreciated, they are all taken into account because ultimately 'the customer is always right'." We monitor our reviews on a daily basis and if something does, unfortunately, go wrong we will respond to our customer as soon as we have been able to investigate further and endeavour to correct the problem. The review system is also a great way for us to keep an eye on what people think of our products and whether we need to change something about them. "Good Evening! I just wanted to message to say how impressed I am with the quality and the top-notch service I received recently from the GardenSite.I ordered a Premier Red and Gold Garland and It is one of the nicest Christmas decorations I have come across for an excellent price. It looks stunning on our dining table.As for delivery, I am highly impressed, arriving the next day after order, and having a query about next day delivery, Dan who I spoke to was more than helpful and polite towards myself regarding my query. I hope this is recognized. To receive my order by midday the next day and dispatched in more than appropriate packaging, I will not be hesitating to purchase much more from you in the future.I just wanted to give an excellent review of my first experience at GardenSite and I will be highly recommending yourselves to all my contacts.Thank you once again, It is a pleasure to see such good quality products attached with outstanding customer care!" Ian Drinkwater. "A few months ago I ordered a Konstsmide Barletta wall light from you to try out on my newly renovated home's terrace and was surprised and delighted to receive it within 48 hours, beautifully packed. I have now had time to fix and test it and today ordered 4 more. I do not subscribe to review sites or social media, but would like to say that I was very impressed by the website, the speed of order processing and delivery, the secure packaging and, not least, by the excellent range of quality products you offer. They are obviously chosen with care to reflect a particular customer base and I will certainly be back to purchase more when the building work is finally over and I can concentrate on the finer details - and the garden. I only wish I lived closer to your garden centre!" Anna-Louise Thomas. "From ordering Sunday evening it arrived today Tuesday afternoon, amazing! Will definitely use again, thank you all, keep up the Excellent service, I'm happy my koi are happy :-) all is well in the pond again! Best regards, Steve :-)" Steve Millman. Customer Order 184034 - Mixed Aquatics Goods. "Dear Sir, I would like to congratulate your organisation on the way that you have dealt with my order! I made an order on Thursday last week and it arrived on Saturday morning. Unfortunately, there were two problems with the order and I contacted your aquatic centre to resolve these. Both problems have been resolved to my entire satisfaction. Your website is first class, your customer care is first class and I would not hesitate in recommending GardenSite to anyone. I will certainly buy from you again!" Chris Archer. 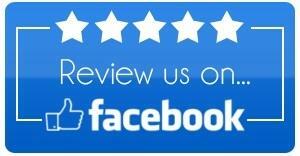 "Id just like to say thank you for your prompt service of replacing our Faulty Pond Pump. Living on the Isle Of Wight it can sometimes be difficult getting a Prompt Delivery Service. Thank you for your good Customer Service in dealing with the Issue we had concerning our Oase Pond pump. We will definitely use your service in the future. I felt it was important to e-mail you to give Positive feedback as so often we only meet Negativity. Our Fish will now be Happy again.!!!" Jacqui Timms. Customer Order 176439 - Dorset Arbour. "Hi Robert Hall, Thank you for your emails, Yes I have received both The Dorset Arbour and Planter with Trellis and both are installed now in our Garden looking fabulous, just ordered from Primrose 2 Clematis should arrive Tomorrow to go into the Planter. We did experience some trouble having screws short but we had another delivery of the shortage.We also bought some spring bulbs from you at your Centre, which also are planted and we have to watch the squirrels from stealing them now. for great service and products." Sylvia Ingram-Greville. Customer Order 150098 - Oase FiltoClear Spares. "Hi, Many thanks for my Oase sealing ring thingy All fitted and installed again Thanks for the fast delivery and excellent service all round I will be visiting your store again Excellent Many thanks again and best regards" Andrew Hibbert, Buckinghamshire. Customer Order 148671 - Mesh Plant Support. "Just wanted to say what a great service, we ordered this mesh yesterday and it arrived via a very nice courier before 10.00am this morning. Brilliant! We shall certainly add you our bookmarks. Many thanks" Tracey Hicks, Berkshire. Customer Order 145005 - Garden Pond. "Hi (to all staff at Garden site) Just wanted to pass on my thanks for the excellent service I have received. Ordered my pond on Thursday morning and it arrived on Friday morning at 9.30am. I was informed by text of an approx delivery time. Very convenient. It was up and filled with water not long after! Great product at a very competitive internet price. Many thanks. I would not hesitate to recommend your company and will be ordering again very soon. Best wishes." Jane Ashton-Hibbert, Cheshire. Customer Order 142871 - Garden Arch. "Not on Facebook or Twitter, not interested in gossip. You got my telephone number wrong and a bit of a delay in delivery if you can't contact the customer by phone an e-mail might do it but then you corrected it without any fuss and I received the goods on time as promised. It was nice to do business with you and I would not hesitate to do so again." John Eric Wright, Essex. Customer Order 137286 - Chicken Coop and Log Store. "Hi – Your delivery arrived on time (although 7am was a bit of a shock!) and in good condition. I had a great weekend with my Grandsons (8 & 10) erecting the Chicken Coop & Log Store – although without their help I could probably have done it in half the time! Next weekend we get the chickens." Chris Harvey, Surrey. Customer Order 129789 - Metal Garden Ornaments. "Hello Nathan, a brief note to tell you that I have taken delivery of the pair of deer.I am absolutely delighted with them and I thank you for your help in getting them here to me." Eileen Mayer, Cheshire. Customer Order 122385 - Outdoor Lanterns. "I was completely heartened by your honesty and integrity regarding the above order. As you are aware our order for the outdoor lanterns had, inadvertently, not been passed to the manufacturer for processing. You promised to try and rectify the situation by speeding up the process and true to your word the lanterns were delivered to us the very next day after our telephone conversation. I am very impressed with the way you have handled the situation but also impressed with the quality of the items we have received to date and would not hesitate to use GardenSite for any other outdoor products we might wish to purchase in the future. Many thanks for an honest and speedy service." "What can I say, the replacement pump arrived this morning and is already in use. What a superb service you have given me and many thanks for this. In a World where mediocre seems to be the norm this really is a first class service. Once again many thanks " Chris Worrow. I contacted you today (Sunday 10 Apr) and purchases a Bermuda 18000 filter pump order number 82644. All I am writing for is just to say thank you for your help and guidance and just to say what a relief it was to be given some straight forward info from someone who certainly seemed to know what he was talking about. Also, while I’m here, I’d just like to say that your website is first class. I’m just sorry that we live in Nottingham and that your centre isn’t close by. However, a drive over is a definitely on the agenda.Thanks again"
for the first rate service you are providing. " Customer Order 45862 - Halls Popular 6ft x 6ft Wide Greenhouse. "We are now back in France with the greenhouse and can I say that without a doubt you have provided the best customer service I have had for a long time, from initial order, credit card query, arranging collection, many, many thanks for your help, if you want to pop over and help erect it that would be the icing on the cake "